‘Agriculture, Countryside and Land Management Services (ACLMS) received a report of numerous blobs of oil of approximately 10-15cm in diameter in the central reef area of L’Ancresse/Pembroke this morning. States Works Coastal team attended and have cleared away as much as could be found. Cautionary signs have been placed at access points to the bay to warn beach users. In recent years each winter dog owners are warned to keep pets away from any oily white substances they may find on local beaches. This month the same substance has been spotted once again on Channel Island beaches and the GSPCA are asking dog owners to take care when along the coast. 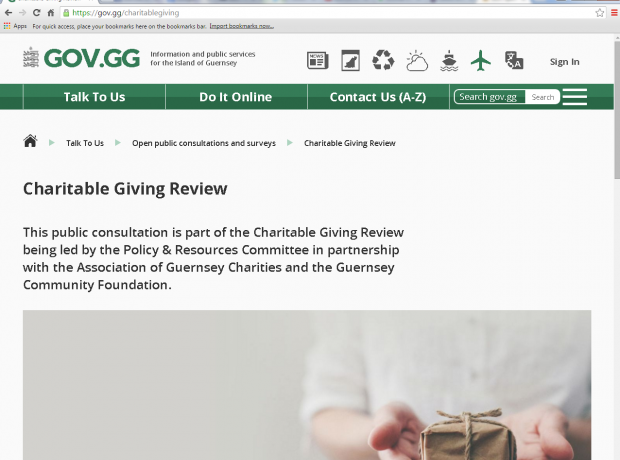 This public consultation by the States of Guernsey is part of the Charitable Giving Review being led by the Policy & Resources Committee in partnership with the Association of Guernsey Charities and the Guernsey Community Foundation. Tax relief on money given to charities. The Environment Department is advising dog owners to keep pets away from any white substance they may find on local beaches. Small lumps of a white waxy substance have been found today at Grandes Rocques Bay by a member of the public. Lumps of a similar substance found in south Devon and Cornwall in December 2014 were identified as degraded edible oil or fat. If the substance is degraded oil, whilst not harmful to human health, it could pose a danger to dogs if it has gone rancid. 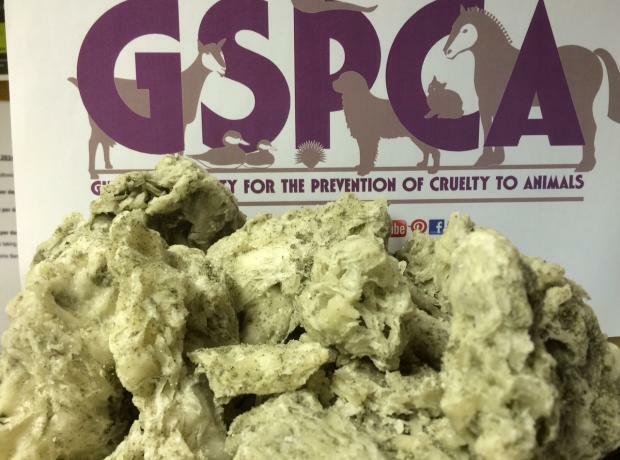 The GSPCA have been informed this evening that the Environment Department is warning dog owners to keep pets away from any white substance they may find on local beaches. Small lumps of a white waxy substance have been found today at Vazon Bay by the States Works beach cleaning team. Lumps of a similar substance found in south Devon and Cornwall in December 2014 were identified as degraded edible oil or fat. If the substance is degraded oil, whilst not harmful to human health, it could pose a danger to dogs if it has gone rancid. This morning the GSPCA attended the Richmond end of Vazon beach and were faced with large quantities of a substance which could be very dangerous to dogs. Yesterday the GSPCA sent out a warning regarding reports of possible palm oil being spotted along the coast. GSPCA Manager Steve Byrne this morning collected a large carrier bag of the white waxy substance along the beach and spoke to a number of dog walkers on the beach. We have been in touch with the Environment Department who have staff removing the substance from our beaches. This time last year the Environment Department warned dog owners to keep pets away from any white substance they may find on local beaches and the GSPCA are asking dog owners to take care as there have been reports over the weekend. It is believed the substance which could be Palm Oil and has been seen Vazon and at Portlet. Last year the Environment Department instructed States Works to remove any substance of this description which may be found on beaches. The first phase of the long awaited Animal Welfare (Guernsey) Ordinance 2012 will come into effect on 1st July 2014, replacing a number of pieces of legislation that have provided protection in the past. The initial phase will introduce the new principle of a ‘duty of care’ to all animals. This is based on the five freedoms which before now have been used as guidance for Welfare Charities but will now be a legal requirement of all pet owners. Last October the Environment Department warned dog owners to keep pets away from any white substance they may find on local beaches and with the same substance spotted once again along the South Coast of England the GSPCA are asking dog owners to take care over the Easter break. The Environment Department is warning dog owners to keep pets away from any white substance they may find on local beaches.